About | Brunswick Timber Frames, Inc.
Jim Doyle is the founder and President of Brunswick Timber Frames, Inc. His passion for timber frame buildings began in 1976 when he was working on a local dairy farm. The farm was home to a massive 18th century dutch barn. A date scribed on one of its posts read “1764”. Jim was amazed at the size of the anchor beams and the length of the posts and plates. The huge beams held several tons of hay stacked to the roof each year. Even more impressive was the detailed joinery connecting the timbers. Jim began to study other old barns and the joinery the framers used to build them. After working for a local company framing conventional houses Jim went on to Paul Smiths College where he received an A.A.S. Degree in Forestry. 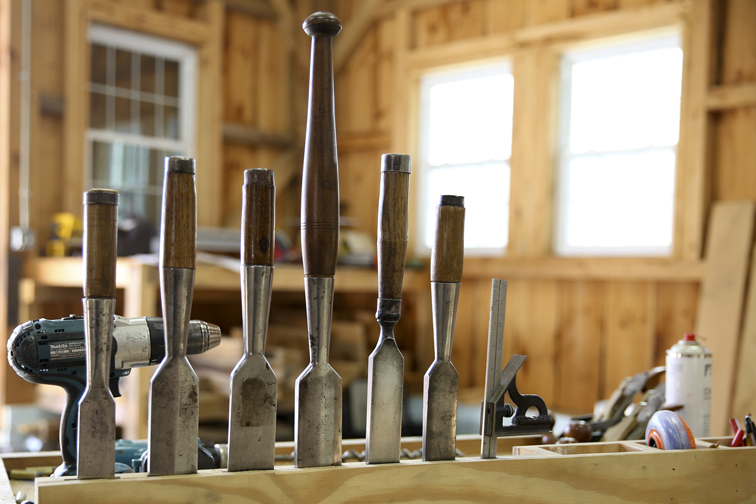 The knowledge he gained in college about woodlot management, timber grading, tree species, and sawmilling has proven to be very useful in the timber frame business. 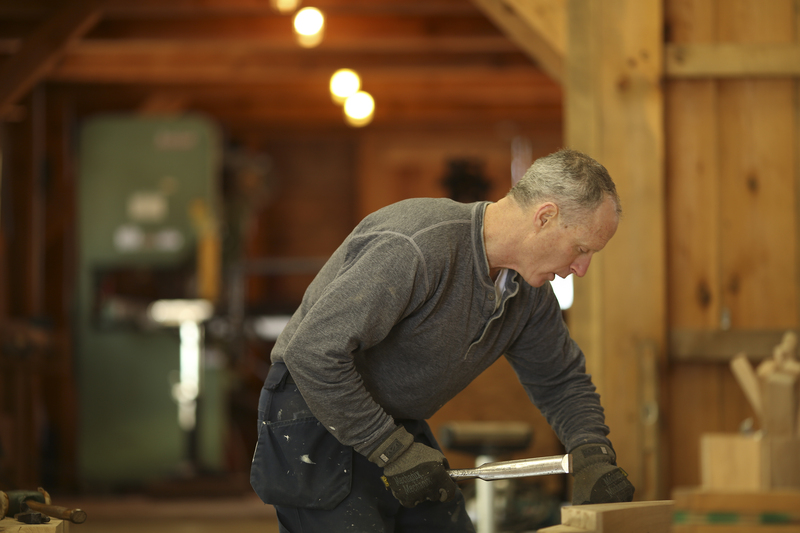 In 1995 he decided to try his hand at timber framing and he built a small barn. In 1997 Jim started building timber frames as a business and in 2002 Brunswick Timber Frames was incorporated. 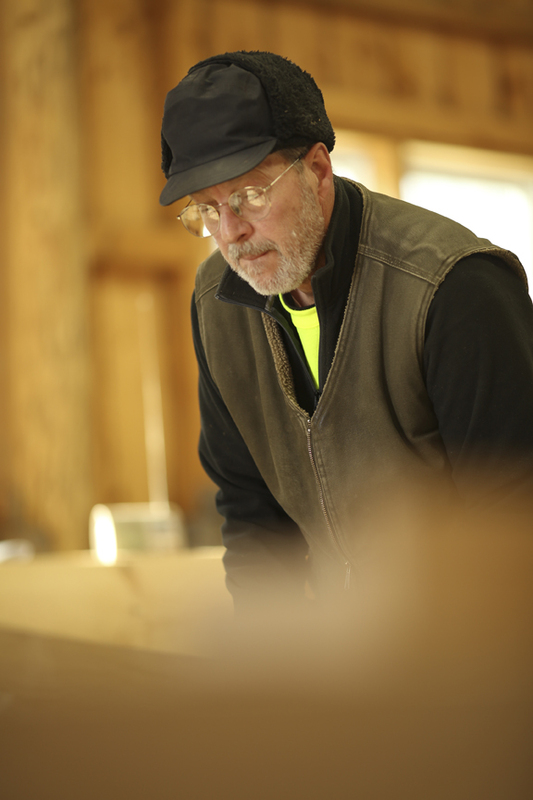 Dave Carlon is an accomplished Timber Framer who is a regular collaborator with Brunswick Timber Frames, Inc. He received a B.S. in wildlife biology, with a background in conservation, wetlands, arboriculture, and other natural resources. He also held the position of Forest and Park Supervisor for the Massachusetts Department of Environmental Management. In 1976, he developed an interest in timber structures, and since 1984, has been timber framing professionally and instructing several workshops each year. These workshops include traditional square rule and scribe framing techniques. Dave has taught several workshops in the US hosted in California, Colorado and Massachusetts and internationally in Sweden. He sees timber framing as an ideal opportunity for delving into history and a fine honing of a skill of the hands, mind, and heart. Dave’s expertise is influenced by a continuing study of historic timber framed structures, tours of timber buildings in England and France, and the traditional French Scribe system of framing used in the reconstruction of the historic Cabildo in New Orleans, of which he was a principal. Dave is also skilled in Auto Cad and uses the program to assist in frame design. Dave has designed and built several barns and houses in New York and New England. With Dave’s vast knowledge and experience he is a welcome addition to Brunswick Timber Frames.